Well, It is the end of June/Beginning of July already. 6 months till Christmas and the other busy time of year. Here in Abaco it is pretty much non-stop activity every weekend for me. Next week the Abaco sailing regatta starts on Wednesday 3rd with the famed Fiddle Cay “Cheese Burger In Paradise” Party which marks the Skippers Meeting and beginning of the races. The Party serves up free Cheesburgers at one of the most idyllic spots in Abaco, a beautiful beach on an uninhabited cay next to Green Turtle Cay. The burgers are given away free which is made possible by very generous donations made every year by business owners and second home owners on the cay and one very cool guy that puts it all together and seeks no recognition for it all. If you know who I’m talking about give him a pat on the back. The Regatta Time in Abaco, check out the website at www.regattatimeinabaco.com has been going on for almost 40 years and my Grandfather has raced in just about every one of them. I’ve been racing in it since I was 15, having missed about 4 of the years for various reasons. 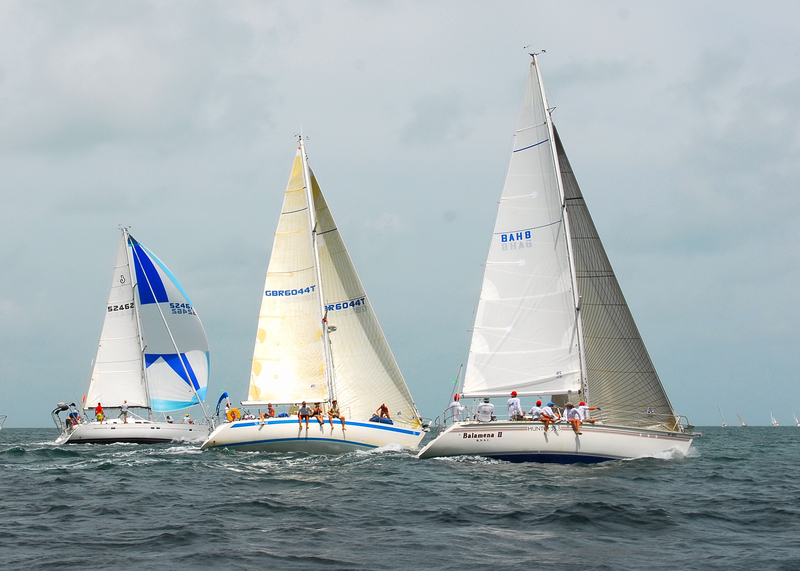 It is a great time, great racing and wonderful way to see the beauty of Abaco’s Cays and Seas. There are five races held in different parts, the first starting in Green Turtle Cay. The last one this year is held in Hope Town. The format, or order, of the races and locations has changed over the years. Until recently the final race and party was held in Marsh Harbour at the Jib Room and Marsh Harbour marina. I still remember the first time I raced the regatta and snuck an alcoholic drink or two with the friends I was sailing with (we were a little underage then). Needless to say we did get into a little bit of mischief but nothing too unruly. The final party was in the old Jib Room (aka Marsh Harbour Marina) which had a bar area up stairs which is now just storage. It was a great spot with wonderful view across the harbour. The current owners Tom & Linda have made several changes over the years but it is better than ever and great place for lunch or dinner (they only serve dinner on Wednesday and Saturday). This year there is a new race being held starting in Great Guana Cay and finishing in Marsh Harbour, which should be an interesting race, typically it is an upwind beat the whole way. I’m interested to see how the race committee plans the new course. One race that has remained pretty much the same throughout the past 30+ years is the Marsh Harbour to Hope Town race. It is a great course which starts right outside the entrance to Marsh Harbour, usually has a short beat up to the Crossing Ferry Dock area, followed by a long beam reach to the southern tip of Scotland Cay. After rounding the bout at Scotland Cay, the course turns back upwind to take you through the narrow channel between Man O War and Garden & Sandy Cays. This beat from Scotland to round the bouy near MOW often makes or breaks the race. It all depends on how well the navigator can plan the tacks through the tide currents that rush in or out of the cuts to the Atlantic Ocean (your sailing inside the barrier reef and cays) and playing the wind shifts that occur at a various points. There is always a significant shift in the wind shadow of Garden Cay and if executed right it can really pay off. The final test is to get through the cut with as few tacks as possible. The ideal course would cost the boat only 3 tacks to turn the mark at Sandy Cay (incidentally, its for sale at $10.9M) and head on down to Boat Harbour. The next stage of the course takes you along the dramatic “Sugar Lumps” (purported to have bat caves and Lucayan cave paintings) and the beautifully developed Matt Lowes Cay, and the beautiful shoreline of Sugar Loaf Cay. (The home called Sugar Loaf Pointe, is for sale and you can see it as you sail by in the race). The final turning mark is just outside of the Abaco Beach Resort and Boat Harbour Marina where many an epic bill fishing tournament is held every year. The pool bar there has seen plenty of ‘tall tales’ told. The final leg of the race put the Iconic Elbow Reef Light House on the starboard bow and the finish just outside Hope Town Harbour. This MH-HT race has pretty much stayed the same for almost 30 years as it is a great race, both challenging and very enjoyable, taking you along many scenic areas of the cays. The regatta has not always been the way it is now. In days gone by, there races started in Hope Town and ended in Green Turtle Cay. Other progressions over the years are the disappearance of a round the bouys race just outside of Treasure Cay; A race from Treasure Cay to Marsh Harbour which was basically one long spinnaker run before the wind and my grandfather says he used to really enjoy that one. It started with a short beat to weather and ended with a short beat, but the majority of the race had the Sea of Abaco lit up with colourful sails dotting the horizon for the 13 nautical miles. I’ve seen a couple of photos that have survived from those days and it liked a fantastic sight to see. There is a story about he dolphins being released from pens at Bakers Bay while everyone was partying in Treasure Cay. There are many stories about the long gone but not forgotten “Roosters Rest of Green Turtle Cay”. The anecdotes and episodes over the years are numerous and it is a wonderful event for sailors. The organisers of RTIA are to be commended for tirelessly putting it on every year. The original founders of the RTIA are to be thanked in particular – the Late but Legendary Lindsey Scott, started up the regatta many moons past, later skillfully run by Dave and Kathy Ralph, and now ably heralded by Ruth Saunders. Give them all a congratulatory pat for the good time you’ll have while, racing, cruising and partying. And last but not least, never forget the thankless job of race committees across the world. As usually run by Carol & John Ewing, who do a fine job of handling a very complex regatta.